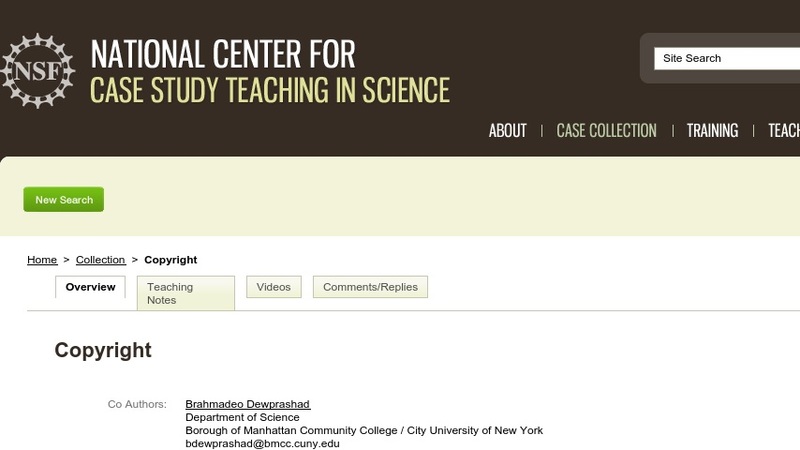 Copyright for the case studies on our website is held by the National Center for Case Study Teaching in Science (NCCSTS). Images on our site that are not owned by NCCSTS are either licensed, used with direct permission from their sources, believed to be in the public domain, or incorporated into our material according to �fair use� guidelines. Proprietary third-party images that appear according to �editorial usage� generally have their sources acknowledged in a credit statement at the bottom of the page on which they appear. Licensed images that have been used strictly for design purposes may be acknowledged, depending on licensing requirements. If you wish to use such an image in addition to our textual content in a manner that goes beyond �fair use,� please visit the original source and contact the owner directly.